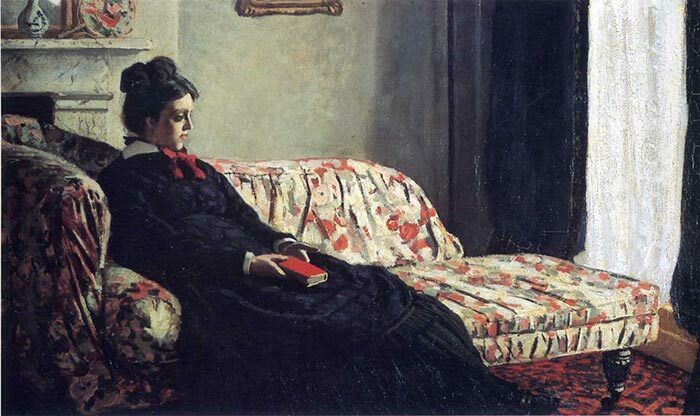 In this post I will be taking a deeper look into one of my favorite artists, Claude Monet. 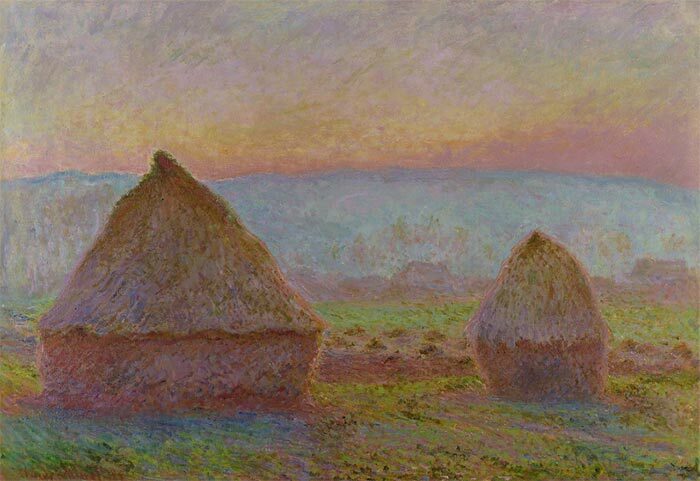 Monet and many of the other great Impressionists have been instrumental to my own development as an artist, particularly in relation to color and brushwork. Like many other aspiring artists, when I started painting I was fascinated in creating paintings which looked like photographs. I tried to paint everything with meticulous detail. 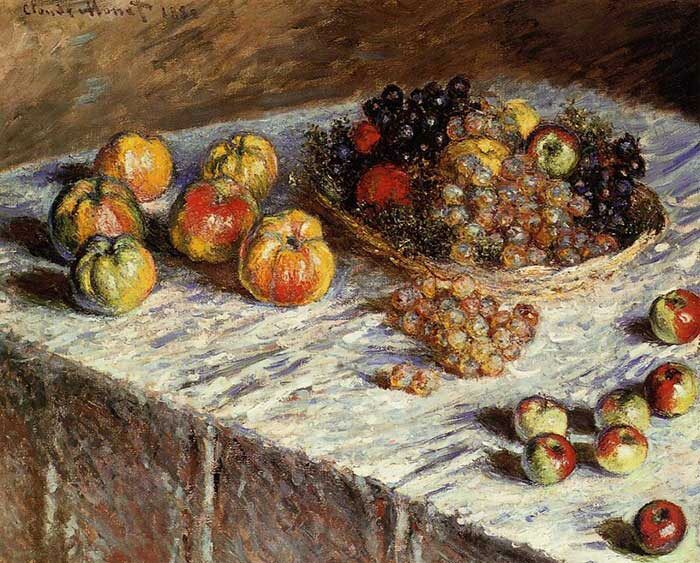 But Monet and many of the other Impressionists taught me that less is often more in a painting and that there is a subtle beauty in letting the imagination do some of the work. "As for the colors I use, what's so interesting about that? 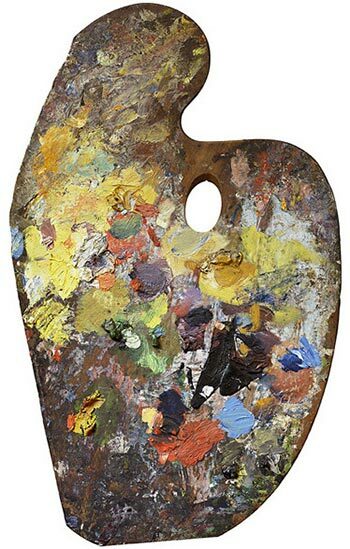 I don't think one could paint better or more brightly with another palette. The most important thing is to know how to use the colors." 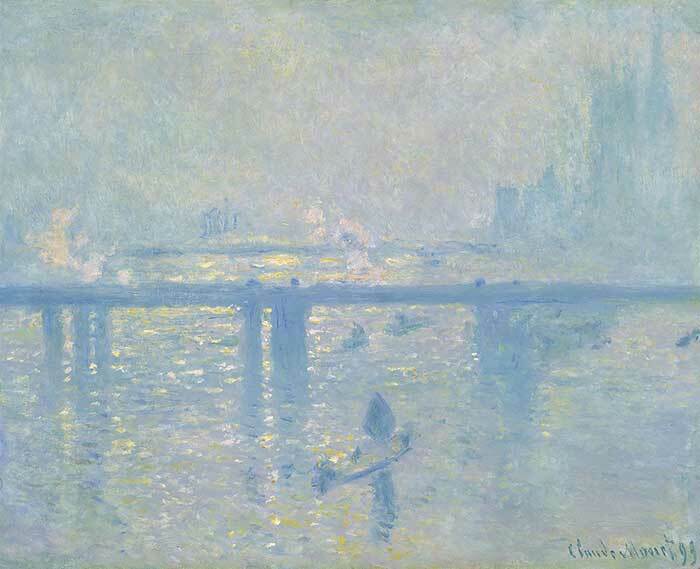 Monet was also known to use ivory black in his earlier paintings, like in this one below. 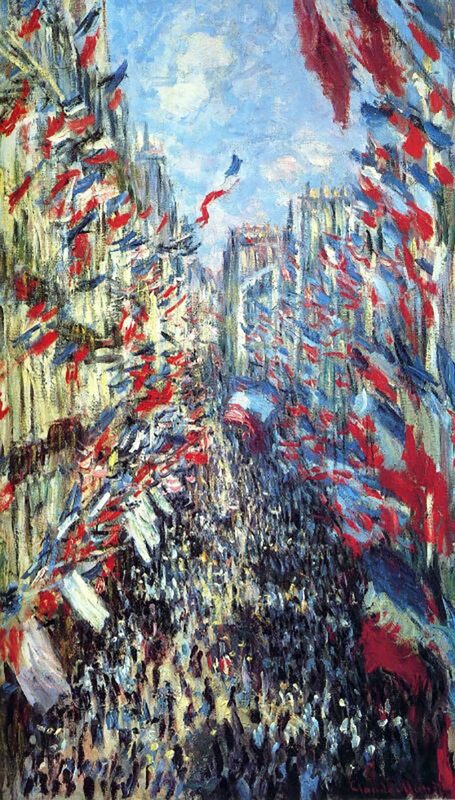 Many of Monet's earlier paintings also demonstrate a more restrained and traditional painting approach. He later departed from black in favor of mixing his own grays and blacks using the other colors on his palette. 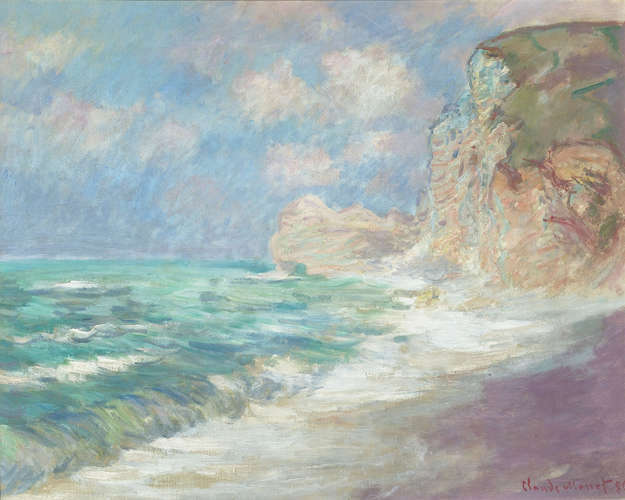 Many of Monet's works are characterized by a flurry of small strokes of broken color. He has been both harshly criticized and acclaimed for this. 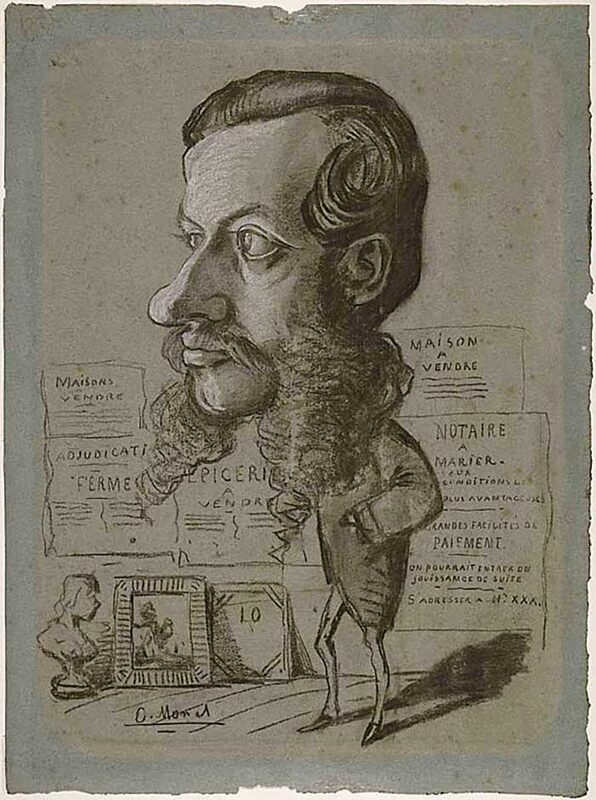 He marked a departure from the realistic and careful rendering of artists before him (though you can see the influence of realism in his earlier works). As a result, it is often difficult to make sense of his paintings when you look at them up close - they appear like nothing more than a mess of scattered color. But as you step back, it all seems to come together. 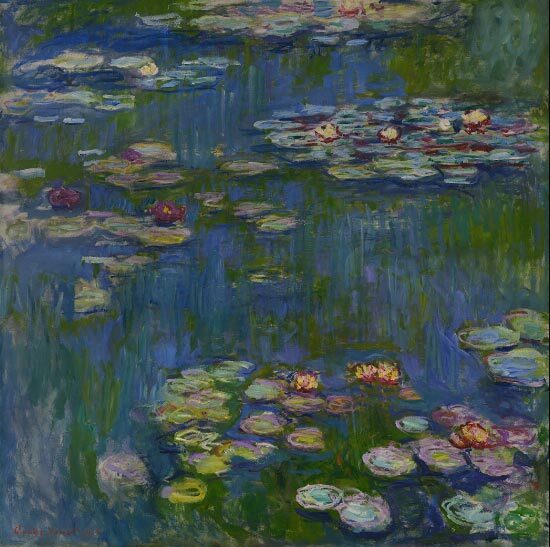 In the painting of water lilies below and the two close-ups that follow thereafter, notice the build-up various greens, blues and purples. Also, notice how Monet used thicker paint for the red and yellow flowers. This reinforces the depth and form in the painting. The painting below is a colorful display of oranges, yellows, reds and greens. If you look closely at the brushwork, you will see the grass and haystacks are painted with nothing more than a build-up of broken color. It seems he may have started with a base color then scumbled other colors on top using a dry brush. Whenever I am taking a deeper look at a master artist, I like to search for any of their unfinished works. These (if any) can provide some great insights into how the artist worked and progressed through a painting. Unfortunately, most unfinished works by master artists are destroyed rather than documented. But I did manage to find a couple by Monet. Below is an unfinished painting from the Charring Cross Bridge series. 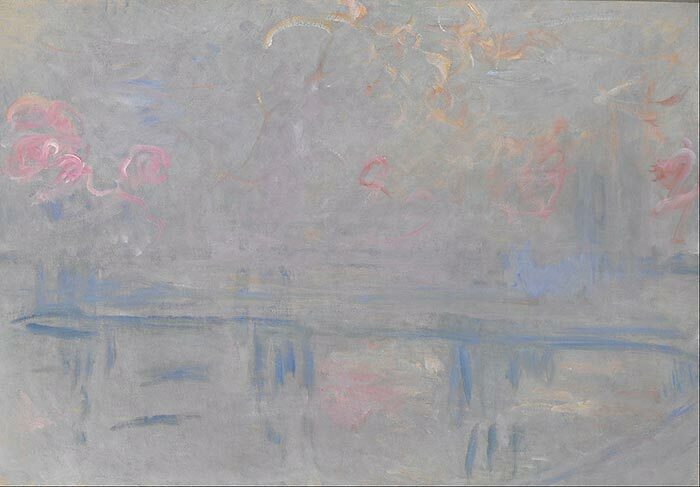 It indicates that Monet started with a colored ground using a dull tone, then applied dark and light accents on top of that. 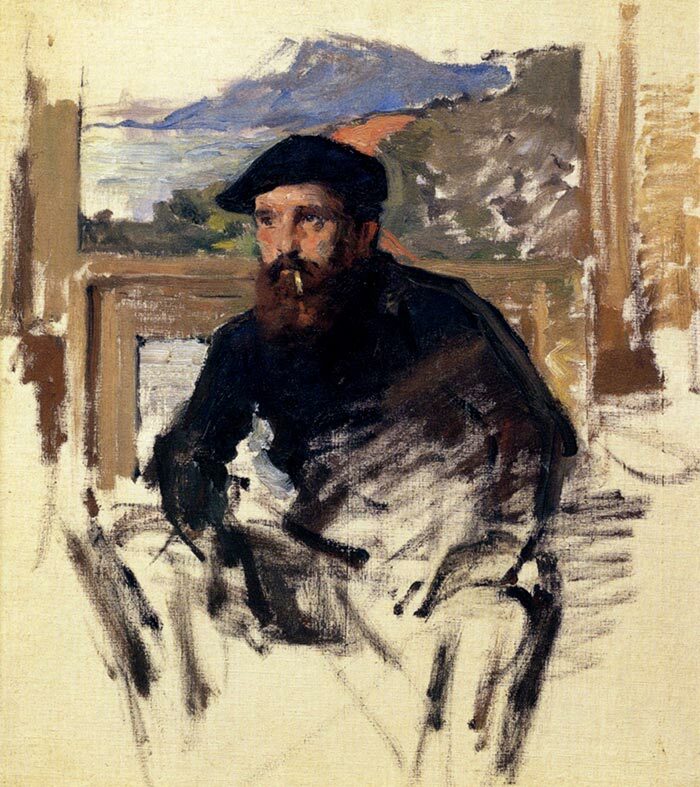 Below is an unfinished self portrait by Monet, however I am unsure if the painting was left unfinished on purpose. 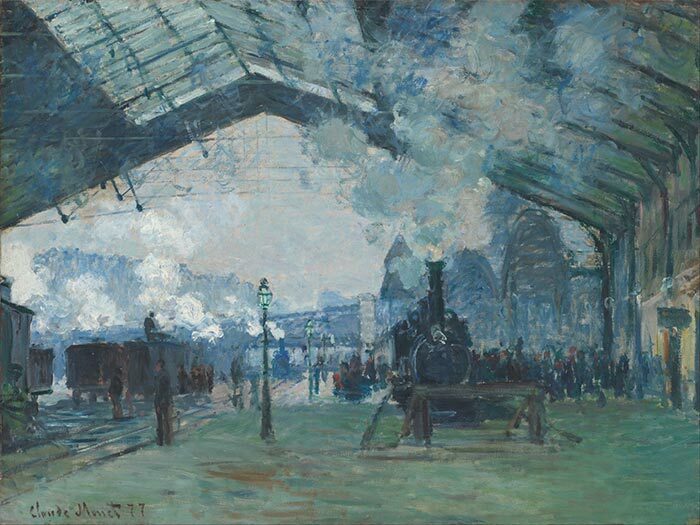 The painting indicates how Monet used his brush to establish form and structure, starting with a relatively dry brush then consolidating with thick paint and committed strokes. Below I take a closer look at a few of his paintings and break them down to see what makes them work. He made interesting use of purple for the exposed shoreline. Directional brushstrokes follow the flow of the water and help guide you through the painting. Also, notice how directional brushstrokes are used in the sky to gently direct you down towards the water. The darks in this painting are around the middle value range. This results in a much more colorful painting overall, because blacks and browns are not used for the darks. Notice the use of broken color for the water and the cliffs. He used common colors throughout different areas in the painting. For example, in the cliffs you can see some bluish-green which is also used for the water. In the sky you can see some dull purples which are also used for the exposed shore and for dark parts of the cliff. This creates a strong sense of harmony throughout the painting. 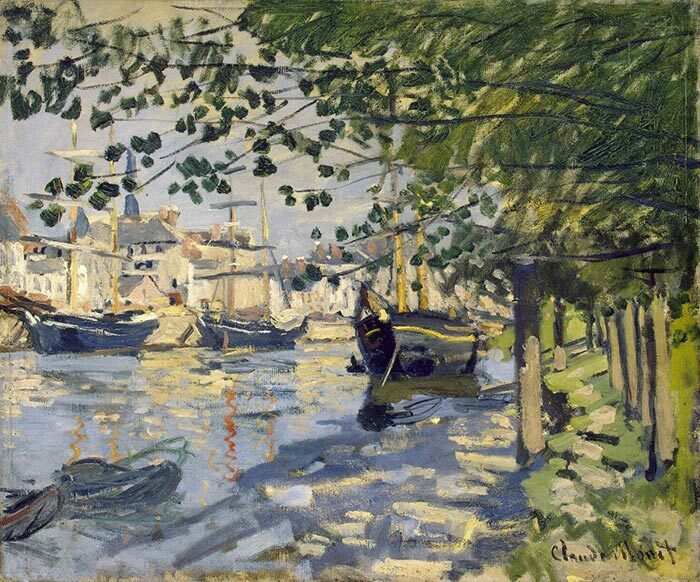 I really enjoy the bold strokes used in The Seine at Rouen painting, particularly for the light shooting through gaps in the trees which is also hitting the path. There is a strong value contrast in this painting compared to the one prior. 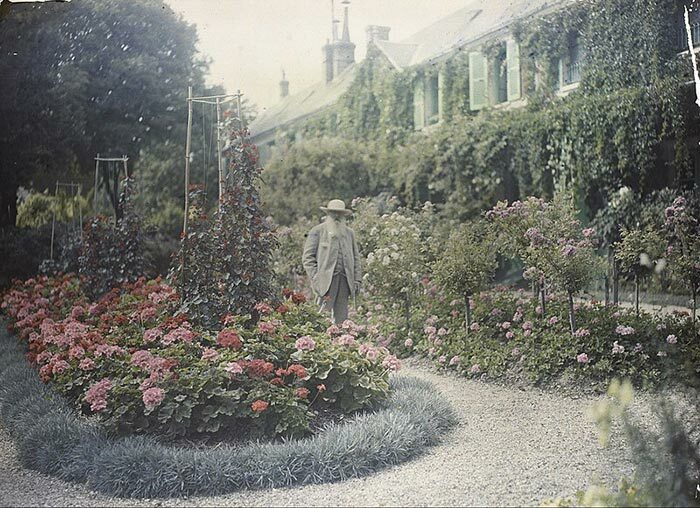 Monet used dark greens and blues for the darks. The painting looks very realistic when you look at it as a thumbnail, despite the brushwork being so loose. This indicates that the values are accurate. The buildings and boats are nothing more than blocks of color with a few important details painted on top. Rock in Dieppe shows a beautiful display of broken color and expressive brushwork. He used short, dabbing strokes of varied colors to give the illusion of detail. Stronger colors and more contrast are used for the foreground compared to the background. This reinforces a sense of depth in the painting. Notice how basic the subjects are in the bottom right. The fences on the cliff help indicate the structure of the land. Relatively cool colors are used for the shadows. This contrasts against the warm lights. The edge which separates the sea and the sky is almost completely lost. The small, dark accents used for the distant boats help separate the sea from the sky. 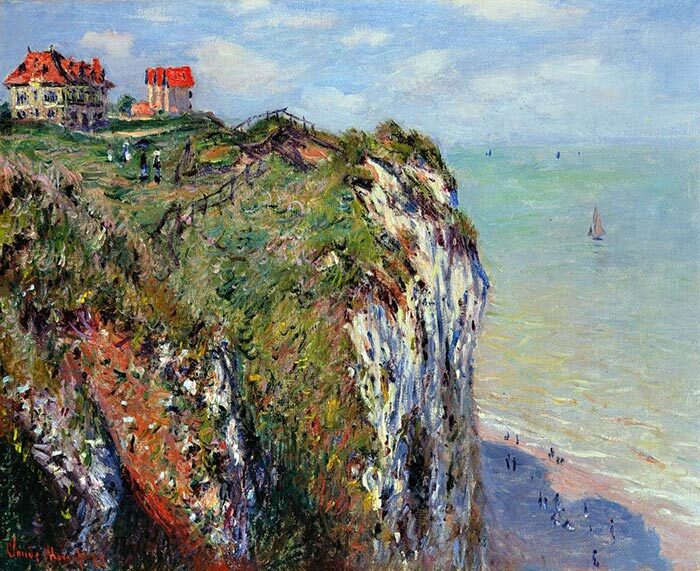 Monet created several series of paintings which involved him painting the same subject over and over again under different conditions. The most notable example of this is his water lilies series, but he also did it with the Rouen Cathedral, haystacks, the Charing Cross Bridge, the Houses of Parliament and Morning on the Sienne. Below are two of his paintings from the Charing Cross Bridge series. The first shows an overcast scene, with blues and grays dominating and a few yellow accents to indicate light bouncing off the water. The second shows a completely different arrangement of colors. 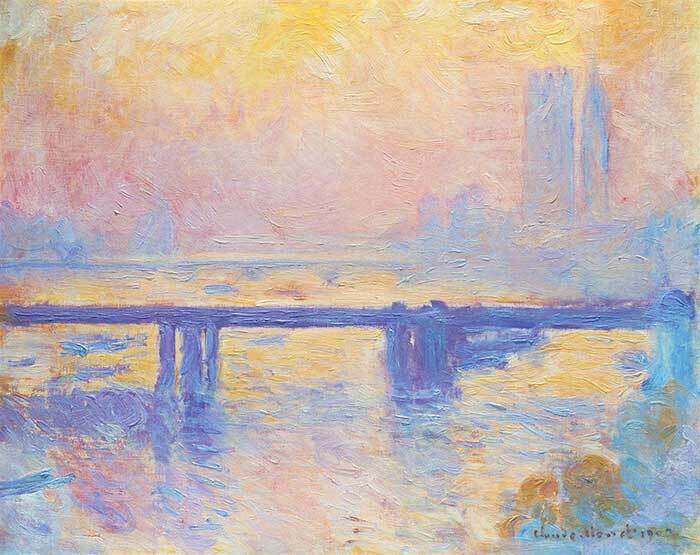 It appears to be at sunset, with increased contrast between the rich purples for the bridge and the soft yellows and pinks in the rest of the painting. Another great post, I really enjoyed it. “I believe Monet sense of color and great brush strokes is what really made his paintings so wonderful to look at” they are truly awesome. Thanks John! I agree. Dan. learner. i shall follow mentioned tips of great artist. Thank you!👍once again. Thank you. This is lovely. Monet has always been my favorite. Such a genius. Like you, I quickly realized that I did not want my paintings to look like a photograph, or otherwise I would just frame a photograph! I want something deeper. While photos can do that, the paint brush takes time and concentration over many hours. One single brush stroke and make an image pop! Oh how I long for the day when I can get to that point. But even if I never do, I can learn about the artists, their works, their styles, and look deeper into a painting than I ever have before. I teach little children, and I try to pass these legacies on to them in my classes. A paintbrush in the hands of a child can do so much more than the button of a video game. Thank you again for this lovely article on Monet. Bravo, Scott! Love your posts! Thank you so much for your insight and expertise! wow….thanks for sharing this Dan. This article was very insightful and helpful. The more I learn to see through the eyes of artists, the more I learn about my own processes. 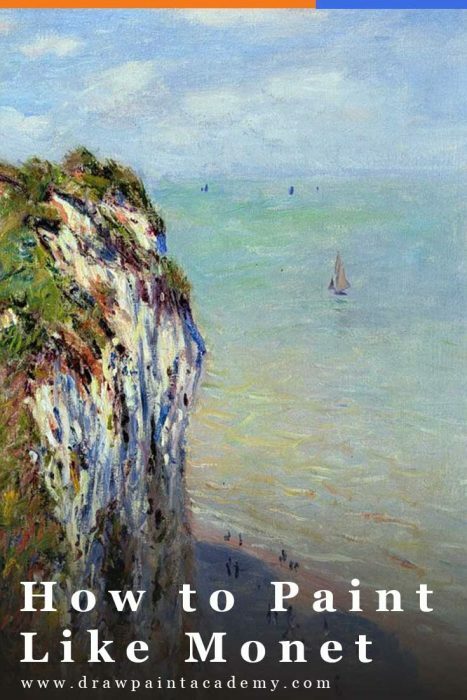 I, too, have studied Monet and in 2016 travelled to a number of the sites he painted: Rouen, Honfleur, Dieppe and Etretat. It was awe-inspiring to imagine how he worked in the late 1800s and how he looked at the scenery and interpreted what he saw. I am grateful for what you do. Thank you for sharing these insights. Thanks for your post and I appreciate both your explanations of his colors and style. I was particularly interested in how he portrayed figures and buildings from a distance. Dan, Muito obrigado pelos ensinamentos que você tem me passado. Já li vários livros sobre técnicas de pinturas, mas eles não me ensinaram nem 10% dos seus posts. Aqui onde eu moro, os artistas acumulam conhecimentos, mas não compartilham com ninguém. Você ao contrário, espalha conhecimentos para nós e ajuda a desenvolver a pintura no mundo. Tenho muita estima por você. Abraços. I appreciate you expertise! I tried to paint lilies after visiting at Monet’s home. My painting did NOT have those soft strokes that make his painting so so lovely! Always very helpful and full of inspiration. You have a skilled way of explaining intricate details and tips which seem doable. I try to adapt your tips to watercolour and usually apart from the difficulty of leaving white spaces, usually works. 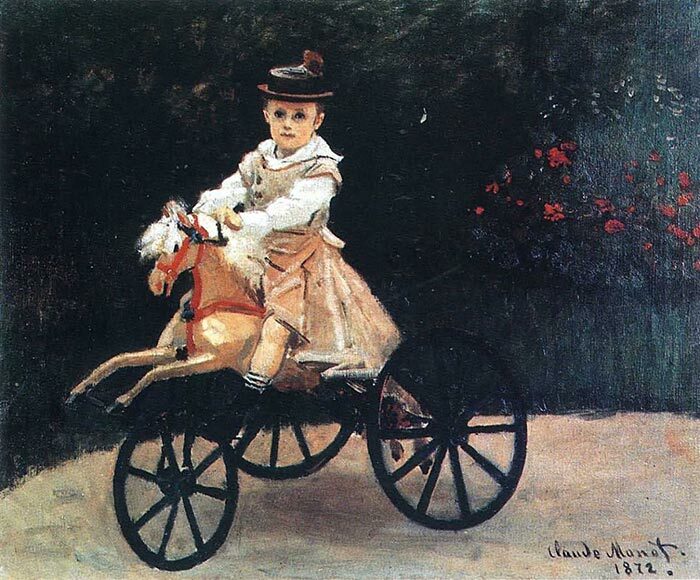 It always interests me that the masters like Monet painted impressionistic and the would paint Jean Monet on a horse or the caricature. Thank you for your interesting information. Thank you, Dan, I am learning so much from your posts! I appreciate you sharing your knowledge. It was such a treat reading this article. You opened my eyes to notice so many new things in a painting. I have really enjoyed this. Thank you so much. This is a great article! I help a friend’s children with Art lessons as they are home schooled, and this was immensely helpful and interesting for planning my next session with them. Excellent education in a simple to understand summary! Thank you so much!! Thanks a lot Dan for all the exciting & inspiring posts you send. Much appreciated. Loved your article on how to paint like claude monet, have alway loved his work and your explainations were very clear and easy to understand. He really was a master of his movement which allowed the gates to be opened so to speak. I find his work quite spiritually lifting. Thanks Dan. Some really helpful and interesting observations! f the lesson helped me. I will further work .